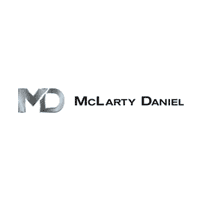 At McLarty Daniel Chrysler Dodge Jeep RAM in Northwest Arkansas, we stand behind the quality of our vehicles. That’s why we’re offering a free lifetime limited powertrain warranty on select pre-owned cars, without any time or mileage limit! Read the terms and details below or come to our Bentonville Chrysler dealership to find out more. MAINTENANCE REQUIREMENTS – In order to keep your Lifetime Limited Powertrain Warranty valid, you must follow the maintenance procedures listed below. – You are responsible for making sure the oil warning light gauge and the temperature warning light gauge are functioning before driving the vehicle. – Your vehicle must receive all scheduled maintenance as recommended by the manufacturer’s Owner’s Manual. – You must keep copies of all maintenance and repair orders. Copies must indicate: customer name, repair order number, repair order date, Vehicle Identification Number, a description of your vehicle, repair order mileage, and a complete description of services performed. – We will require you to furnish us with proof that the specified services have been performed. Failure to show proof that all scheduled maintenance and repairs have been performed will void coverage under this Lifetime Limited Powertrain Warranty. Landers McLarty CDJR is committed to ensuring your vehicle is properly maintained in accordance with the manufacturer’s recommendations. However, it is ultimately your responsibility to retain copies of your maintenance records in order to assure your compliance with maintenance record retention and to assure eligibility of coverage of this Lifetime Limited Powertrain Warranty. COMMERCIAL USAGE – Customer acknowledges that this vehicle will not be used for competitive driving or racing, police or emergency service, principally off-road use, snow removal, carriage of passengers for hire, commercial delivery/service/repair, rental purposes, towing a trailer or another vehicle unless your vehicle is equipped for this as recommended by the manufacturer. COVERED COMPONENTS – Customer acknowledges that the components covered will be the same as the original Factory 5 year/60,000 mile Powertrain warranty with the exception of items listed herein as not covered under DETAILS AND COVERAGES OF WARRANTY. TRANSFERABILITY – Customer acknowledges that this Lifetime Limited Powertrain Warranty is Non-Transferable and expires the day he/she sells, trades or transfers the above vehicle. NOT A SERVICE CONTRACT OR INSURANCE – Customer acknowledges that this Lifetime Limited Powertrain Warranty is being provided at NO ADDITIONAL CHARGE and is not a Service Contract and is not insurance. NOT COVERED UNDER WARRANTY: This warranty does not cover damage or failures resulting directly or indirectly from fire, accidents, theft, abuse, negligence, misuse (racing or overloading), improper repairs, alteration or tampering, including installation of non-genuine Chrysler accessories, lack of proper maintenance, including use of fluids other than those specified in the Owner’s Manual, installation of non-genuine Chrysler parts, airborne chemicals, tree sap, road debris (including stone chips), rail dust, salt, hail, floods, wind storms, water contamination, lightning and other environmental conditions. NORMAL WEAR AND TEAR: Noise, vibration, cosmetic conditions and other deterioration caused by normal wear and tear. MAINTENANCE EXPENSE: Normal maintenance services such as engine tune ups, lubrication, replacement of fluid and filters, spark plugs, brake pads / linings and clutch linings. ALTERNATIVE TECHNOLOGY: Including hybrid systems and other alternative fuel vehicles such as electric, natural gas and diesel. All alternative technology and hybrid related components and parts such as generators, batteries and others are specifically “excluded” from coverage under this warranty. SALVAGE OR TOTAL LOSS OF VEHICLE: Any vehicle that has ever been issued a “salvage” title or similar title under any state law or has ever been declared a “total loss” or equivalent by a financial institution or insurer, such as by payment for a claim in lieu of repairs because the cost of repairs exceeded the cash value of the vehicle. WHERE YOU ARE COVERED: This Lifetime Limited Powertrain Warranty applies to breakdowns occurring within the continental United States of America, Hawaii and Canada. DEDUCTIBLE – $100 is the amount you must pay for covered repairs per covered component. This Lifetime Limited Powertrain Warranty is provided by Landers McLarty CDJR at NO ADDITIONAL CHARGE to the New Chrysler Vehicle Purchaser.